Helps repel road debris and insects from your vehicle. 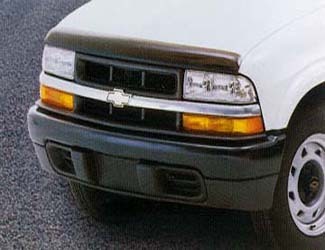 The sleek, low-profile protector, provided in a dark smoke color, will be an attractive addition to your truck. Crafted to work in tandem with your GM vehicle, this protector will not create side-view mirror vibrations, nor will it affect the windshield spray pattern.